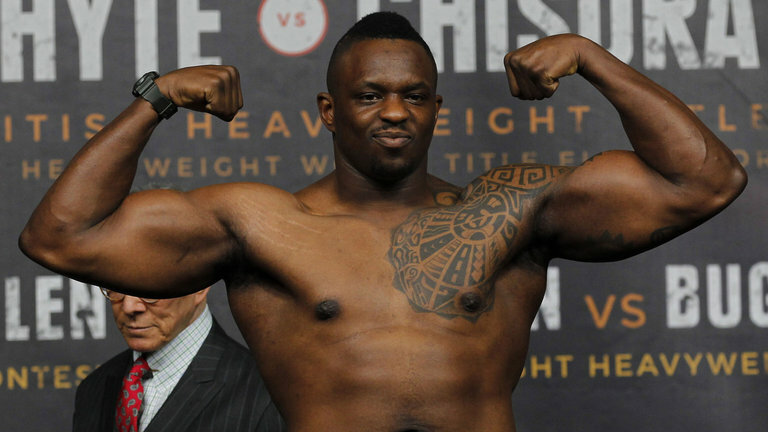 Heavyweight contender Dillian Whyte 23-1 (17) believes WBC heavyweight champion Deontay Wilder 40-0 (39) got his right whack after he was denied the chance to face Anthony Joshua 21-0 (20) in a big-money unification bout later this year. Whyte, the WBC number one contender, has been forced to sit on the sidelines while Wilder and Joshua worked through their contract negotiations in a very public manner. In the end the 30-year-old “Body Snatcher” moved on, opting to face former WBO heavyweight champion Joseph Parker 24-1 (18) at London’s O2 Arena on July 28 with the winner putting themselves in the box seat a world title shot. “Paid thousands and thousands of sanctioning fees,” said Whyte. “I’ve had all the fights, the ranking fights, I won all the belts that I could win off the WBC. I won every single one that I was eligible for, I’ve defended them. “I was the number one but none of that was relevant, basically Deontay Wilder just kept on avoiding me, and then now he thought he had the fight and then Joshua went the other way. Whyte was last in action in March when he dominated Australia’s Lucas Browne, stopping him with a savage left hook in the sixth round to successfully defend his WBC Silver title. It was expected that the win would earn him a shot at Wilder’s WBC world championship. “I know the feeling, because you’re thinking I’ve got the big one coming next, I train and train, I go in there and put in a good performance and then the champion strings you out. “Now he understands. Karma is you-know-what, and now he’s on the receiving end of it. “Hopefully it’s humbled him and hopefully he will start fighting his mandatory and the number one challengers now, and realise that [he should] just fight the people that are there to fight.